My Turkish spindle provided great entertainment for the long drive to and from Washington DC. This is a Blue Face Swirl in a Limited Edition colorway by Gale’s Art. I spun two ounces in my Turkish spindle and the remaining two in my Kromski wheel. The final yarn is super spongy. Yardage is to be determined -- skein looks substantial (how about that?). 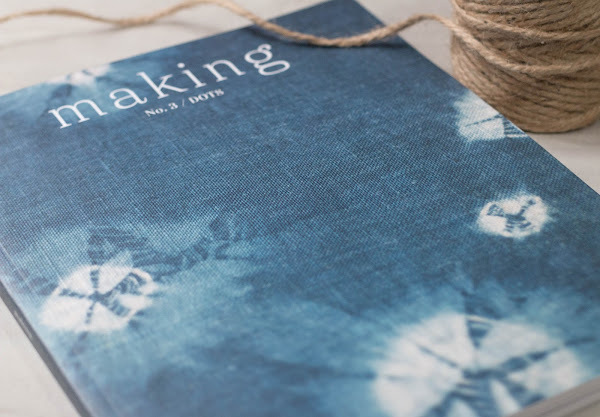 I picked up the third issue of the Making Magazine at Fibre Space. This is a gem and I want to make everything in it. I will not pass on next time Madder open up subscriptions. The magazine is worth every penny, in my opinion! Family time. Priceless. As crazy and imperfect we all are, magic happens when we get together. Visits to Fibre Space and Looped Yarn Works. No yarn came home. Books, tools, bags and fiber made the cut! Impromptu escape to the REI Flagship store in DC! Yummiest empanadas at Panas in Dupont Circle. That. Skein. It's just gorgeous! I love the subtlety and brightness of the color that dances through it. What do you think it will grow up to be? Do you have any plans for it? 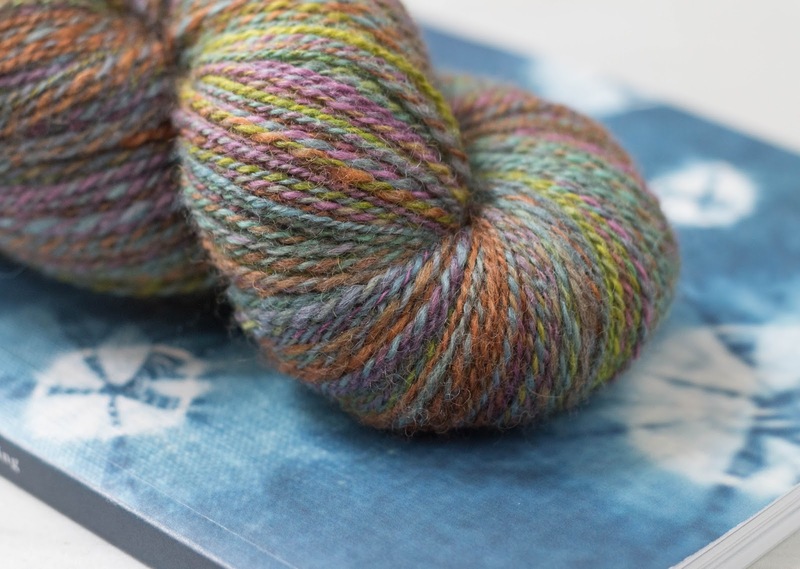 That skein is gorgeous!!! That skein is so gorgeous, you always make me want to learn how to do spinning.